Since 2006, the number of visitors to Point of Honor (POH) has almost doubled to 13,000 visitors per year. Family events such as Day at the Point and the Easter Egg Hunt alone generate between 2,500 and 3,500 attendees each. The previous additions to Point of Honor were the Carriage House and Kitchen, and these were built over 20 years ago. To accommodate visitor growth, there is a pressing need for more restrooms, program areas, and gathering space. Currently, the Carriage House meeting room seats only 40 individuals and programs generally attract between 50-100 people. None of the three buildings on the property are handicapped accessible, storage is at capacity, and there are only two small public restrooms and one water fountain on site. A school group inside the existing carriage house during a rainy day. $1 million dollars to create the Point of Honor Education Center. 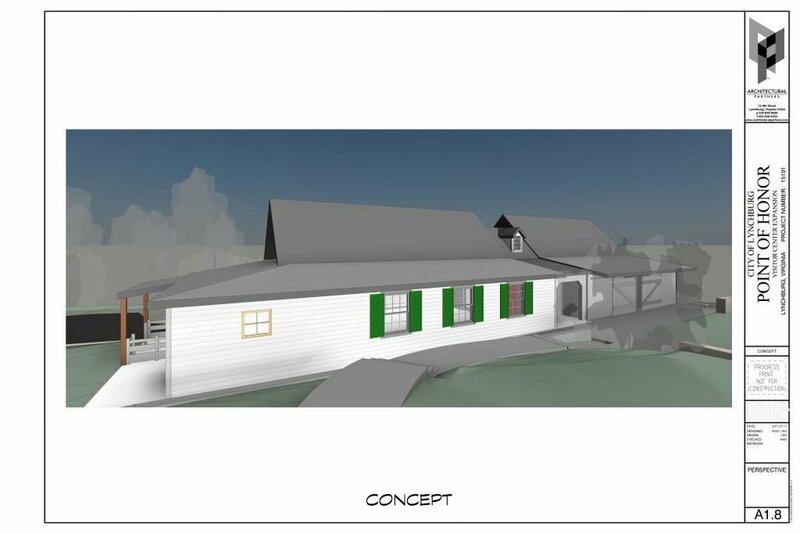 The Education Center will be attached to the existing Carriage House along Norwood Street. It will provide an additional 1,700 square feet and will include a multi-purpose space, new restrooms, catering kitchen, and pantry. The Center was designed by Architectural Partners, Inc. of Lynchburg and uses design elements that match or are compatible with the existing structure. A new elevator will connect the Gift Shop to the Education Center and an at-grade pathway will link the Center to parking on Norwood Street. With these enhancements, the facility will become ADA compliant. The current access directly into the Gift Shop will also remain so there will be several ways to comfortably access the facilities. 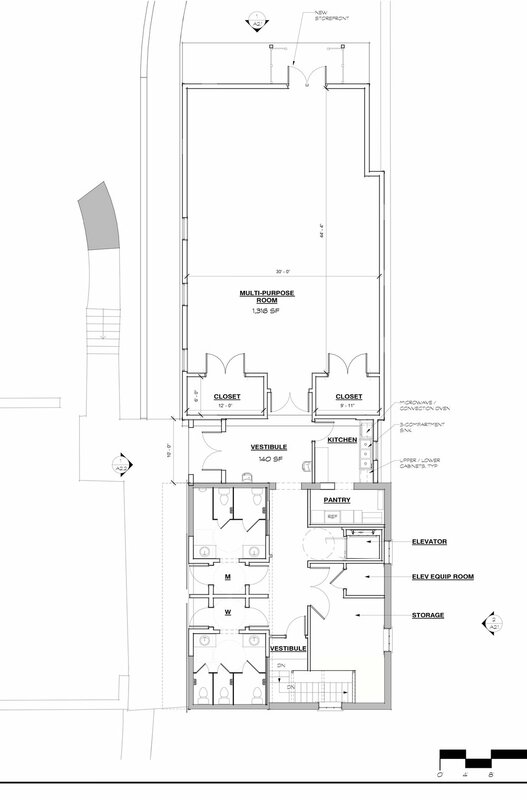 The second floor of the current Carriage House will be remodeled to offer new restrooms that can be accessed from outside and inside and two water fountains to better serve large groups. The remaining portion of the original meeting room space will provide much needed storage. The two existing restrooms on the first level will be retained. 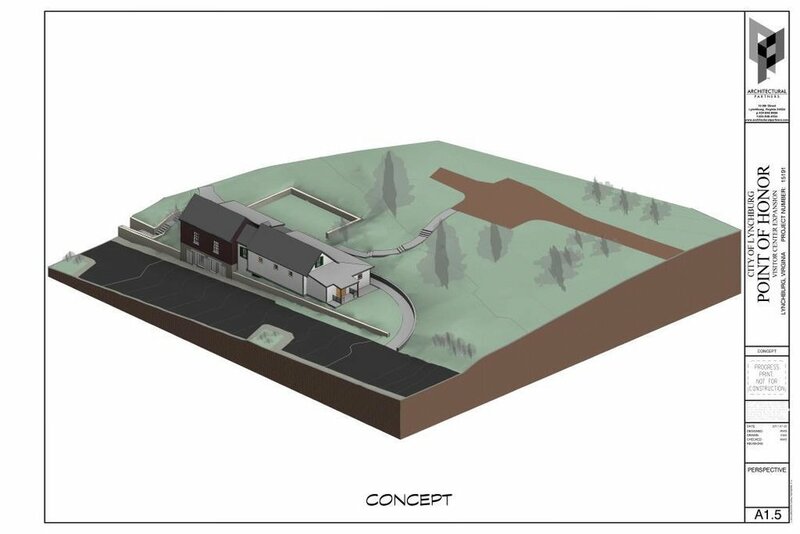 As Point of Honor is on the State and National Registers of Historic Places and is within the City of Lynchburg Daniel’s Hill Historic District, care has been taken to design the project to the highest historic preservation standards. Since the addition is on the grounds of Point of Honor, an archaeological investigation of the building and pathway footprint was done in March 2017. Archaeologists did a series of test squares and found that earlier townhouses that existed in that location in the late 19th - early 20th centuries had disturbed the ground, and no intact historic features remained. 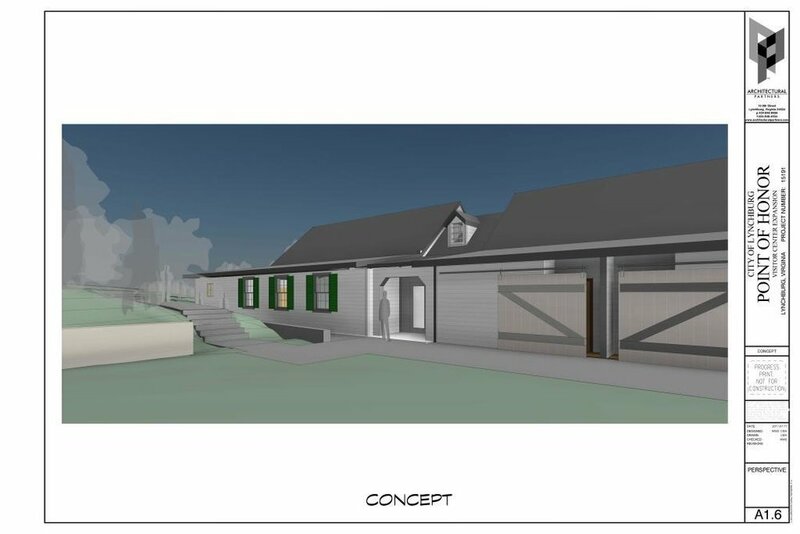 The project has been formally or informally approved by POH, Inc., the Garden Club of Virginia Restoration Committee, Virginia Department of Historic Resources, and the City of Lynchburg. The City administration is providing engineering assistance through the Public Works Department but cannot provide construction funds. 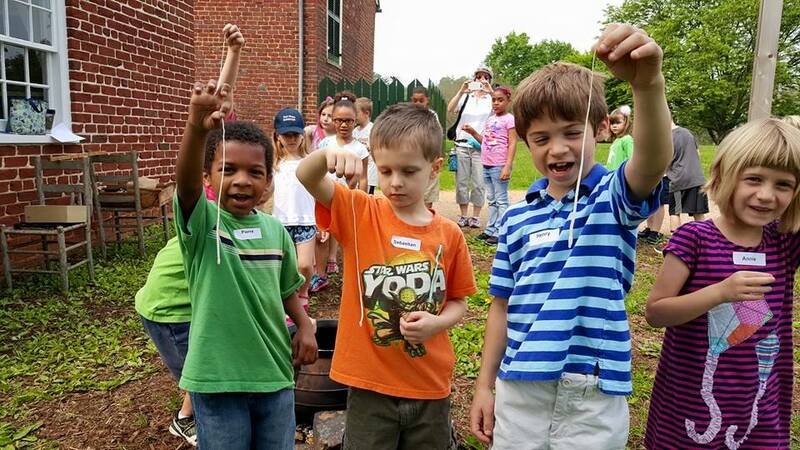 In addition to asking the greater Lynchburg community for help in raising the funds necessary for construction, local and statewide foundations will be asked for grants. Construction cost estimates were done in 2015 and 2016 by two different firms and both were very close at approximately $750,000, which includes site work, new pathway, and a contingency budget. With architectural fees, other site costs, and furnishings the total is nearing $1 million. As of September 2017 100% the board and staff have donated or pledged to the project. Approximately $115,000 has been raised towards the project. Any unused funds will be added to the POH Carriage House Endowment Fund. Contributions may be made online or sent to the Lynchburg Museum Foundation, P.O. Box 529, Lynchburg, VA 24505. Please contact staff at (434) 455-6226 for more information. The Foundation supports the Lynchburg Museum and Point of Honor and is a 501(c)(3) organization. Gifts to the project are tax deductible as prescribed by the IRS.